The CityView Corporate Center in Lyndhurst has been sold for $20 million to Alexander Property Holdings of New City, N.Y., according to Cushman & Wakefield, the broker on the deal. 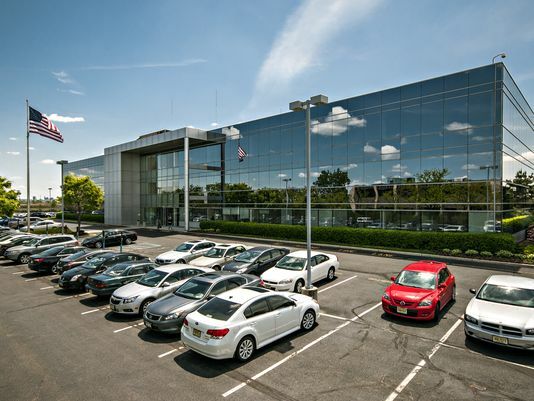 The 135,000-square-foot office building at 160 Chubb Ave. was sold by Rugby Realty Co. of Secaucus, which bought the property in 2013 for $10.3 million, according to property records. It is on 8 acres, with access to routes 3 and 17. The deal for the building may suggest renewed faith in the office building sector, which has been struggling in recent years as companies have worked to convert office spaces to other purposes. Companies such as the publishing company Pearson Education have left suburban offices in Upper Saddle River and moved their headquarters to urban locations. Part of the reason for the shift is a response to the desire of urban-minded younger professionals to reduce commuting time to work. The sale was handled by Cushman & Wakefield’s metropolitan area capital markets group, based in East Rutherford. The three-story building was constructed in 1979 and renovated in 2006 and 2012. When Rugby Realty bought the three-story building in late 2013, it was only 60-percent leased. The company hired C&W as leasing agents, and the property is now fully occupied, according to C&W.